The kind of change that we have witnessed and continue to witness since Dr. Abiy became prime minister in early April of this year are, to say the least, astounding. The swiftness and efficiency with which the changes have been brought about can only be compared to Mikhail Gorbachev’s or Nelson Mandela’s. In less than four months, Dr. Abiy has essentially veered the country into a completely new and unforeseen direction. Those of us not privy to what has been going on behind closed doors, were expecting more of the same, perhaps with few changes here and there; but nothing to lift our hopes high. Dr. Abiy’s acceptance speech was promising and uplifting, but it was his earnest exchange with the representatives of the House which convinced us of his genuine desire to orient the nation into a completely new direction. It is dutiful and indeed necessary to remind ourselves that Dr. Abiy was the principal person (but may be not the only person, I must add) who stood between chaos and sanity in halting the ever growing protests and willing to put his life on the line to bring forth the necessary changes. For this alone, Ethiopians will forever be indebted to him. In addition to these commitments, Dr. Abiy ended of his own initiative the State of War with Eritrea, without asking the intervention of the U.N. or the U.S. A remarkable feat in itself, considering the fact that poorer nations, like little children, have a tendency to expect richer nations to act as their arbitrators. To the surprise of the world, not only Ethiopia and Eritrea ended their hostilities, but by acknowledging their shared histories, cultures, and languages, vowed to initiate a new era of close cooperation. What has encouraged even more Ethiopians has been Dr. Abiy’s uncompromising stand on the question of rule of law and due process. For most of its 27 years of rule, the regime’s preferred mode of dealing with opposition and dissent has been silencing, imprisonment, torture, and killings. Except for prominent dissidents and opposition figures, the vast majority of political prisoners never had a day in court: their detentions were simply extended indefinitely. Even the prominent prisoners never received proper legal process: they were found guilty before they could prove their innocence. The famous terrorism clause was implemented to a point of absurdity. By freeing tens of thousands political prisoners, prominent opposition figures and dissidents overnight, Dr. Abiy has clearly shown that his earnestness and commitment to the rule of law. His economic agenda is no less remarkable. He has shown his willingness to move away, all be it gradually, from command economy to free market economy. And this should mean freeing the economy from the clutches of party bosses into the hands of free economy agents. The outcomes of such move is only at a very initial stage, and we must wait a while before we can see its fruits. As impressive and wonderful these momentous changes are just by themselves, without considering others that have not been much publicized, the difficulties facing our young prime minister are varied and intractable. And he, more than anyone, is very keenly aware of them. It is us that we must sober up in this atmosphere of euphoria and unreasonable expectations to lend him our helping hand, so he can pursue his reform agenda successfully. The TPLF may be wounded and somewhat in disarray, but it remains the best organized group in Ethiopia that still has the levers of government in its hands. And it poses a threat to Dr. Abiy and to his reform agenda. Indeed, some of its members could not help spewing their disapproval and even disdain about Dr. Abiy and what he stands for immediately. The majority have not clearly expressed whether they approve of him or oppose him. It is only a minority that have clearly shown their desire to join him in his efforts. This should raise by itself grave concerns. However, it is to be expected since no one relinquishes power willingly. And in the case of the TPLF, it is not only power loss that will unnerve its members, but their ill-gotten vast financial networks, the real possibility of their standing trial for these and for the unfathomable number of crimes they have committed since they came to power. Nearly three dozen political parties operate within and without Ethiopia currently. We are only acquainted with those that usually receive media coverage. We don’t know exactly what the majority of them stand for. But most of them appear to be willing to work with the prime minister. But some, notably the older and more established ones, appear to be putting undue pressure on him to call for an immediate election, or worse to meet their irredentist demands. His responses have been restrained and conciliatory. But their insistence and unreasonableness could derail his reform agenda. Regional conflicts continue to erupt, or appear to be smoldering continuously. These are often the consequences of the ill-advised federal laws and policies that govern the regions (killils), but they are also consequences of tribal rancor and animus. The prime minister has addressed them to the best of his abilities, crisscrossing the country indefatigably and energetically, and spending hours in open fora to resolve the issues at hand. And yet they seem to reappear almost immediately after his visits, where one had hoped for at least a truce until the next election. There is a real danger that these hostilities cannot only thwart the prime minister’s reform agenda, but could lead the country into a civil war if they are taken over by unscrupulous and nefarious forces. The biggest talk today is of course corruption. Even though corruption is not exactly a new phenomenon in Ethiopia nor, on the other hand, is an Ethiopian problem alone as such, its extent and depth has very few equals in the world. 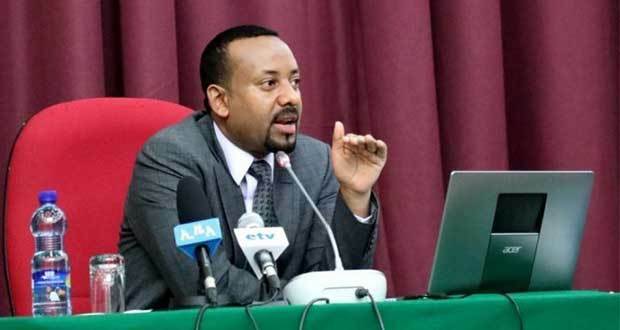 Here Dr. Abiy is faced with a mountain of a problem that he cannot tackle alone: it requires no less than the cooperation of the entire bureaucratic apparatus, the regulatory and auditing bodies of the government, not to mention the courts and security apparatus. Since it is so pervasive it requires no less than a cultural revolution. The prime minister, despite his earnest desire to rid Ethiopia of this plague, cannot do it alone. It is quite simply a national task in which every individual citizen must participate in. Even if the list of problems can be extended further, I believe that the above are just the main ones I think are the most pressing now. But the question at this point should be how we can help the prime minister succeed in his reform agenda. What must we do or not do in order to benefit from this unique historical opportunity? In case you have any doubts, let me make one thing clear: I am not asking and indeed will never ask for Dr. Abiy dictatorial powers to conduct his reform agenda. He would be in fact the first one to disabuse us from such thought. But I firmly believe that given the enormous difficulties he is faced with, we should give him time to at least consolidate his reform agenda and not press him to hold a snap election. It would be simply disastrous. It would in fact compound the problems that we have to the point that they can cause a dictatorial reaction. It would in fact provide a rational for hostile factions to stage an insurgency that can begin a cycle of violence. Even though there is a reasonable argument to question the legitimacy of the regime, pragmatism dictates patience under the circumstances we are in. We should not be like the blind man who, upon hearing that he will be able to see on the morrow, said “how can I bear to sleep” (Endet Adərre’). And even though again the 2020 election may not have an irrefutable legal basis – since it follows upon previous illegitimate election – I believe that it should not be changed and must be maintained not only to give time the prime minister to implement his reform agenda, but also to provide the opposition parties with enough time to re-establish themselves and prepare effectively for it. This is not to say, however, that the opposition parties should withhold their opinions to themselves until election time. Quite obviously the prime minister invitation was meant to generate a peaceful but vigorous debate immediately. And this should even include debates about constitutional reform or even the drafting of a new constitution. Ethiopians must not either buy into the notion that peace means unaccountability. As citizens they must cooperate in the campaign to expose the criminals who have used their positions, powers and influence to deprive ordinary citizens of their lives, rights, and legitimately owned properties. The day has come now to begin the process of not only national reconciliation, but also of national reckoning. Indeed, true reconciliation requires that wrongs be righted and that criminals do not walk away scot-free. And this does not mean mob justice, but strict adherence to the rule of law and due process. Even the most aggrieved citizen must not let his/her emotions take over and seek personal revenge. This would be a recipe for chaos and disaster. Cooperating with the prime minister and his reform agenda does not and should not mean keeping quiet and be a passive onlooker. Citizens must fully engage the prime minister in a constructive debate, in whatever way they can, by proposing ideas, solutions and even criticisms. By adhering to the truth and integrity of the information; and not being tempted by fabrication, over exaggeration and speculation. We must remember that truth will serve us more in our goal to establish a peaceful, democratic and prosperous Ethiopia more than anything! The best ally Dr. Abiy could have in his quest to transform Ethiopia into a genuinely democratic state is without a doubt a free press. What he needs the least are mindless adulators on one end and nay-sayers on the other. Serious press, if left unmolested to pursue the truth, can provide him and his reform agenda invaluable service. The prime minister has shown clearly that he is not afraid of the truth, and to be a person of dialogue. It stands to reason that he should be amenable to views and opinions not quite in line with his. A free press can be a wellspring of ideas, while at the same time acting as the pulse of the nation and a platform for a vigorous debate. The history of the past 27 years has been one of progressive suffocation and persecution of the free press. It is time to let it breath openly!